Andhra University has released an official notification for APSET 2018 on its official website @ apset.net.in. All the interested candidates should read AP state eligibility test notification 2018 to know all the details related to this recruitment test conducted by Andhra University, Visakhapatnam. APSET 2018 is the state eligibility test conducted by the university on the behalf of government of Andhra for the recruitment of Lecturers and Assistant Professors in the state. This examination is to recruit assistant professors and lecturers in the colleges that come under the state. Andhra Pradesh has 1192 aided and unaided degree colleges, 26 Universities and 146 government degree colleges. Note : Those candidates who will pay the late fee of INR 5000, will be not be given any choice for selecting the examination centre. They have to appear for the exam at Visakhapatnam examination centre only. Aspirants need to meet the eligibility criteria to appear for the AP State Eligibility test, failing which they won’t be allowed to write the examination. So, go through the eligibility criteria before you fill out the application form for APSET 2018. 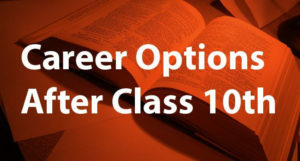 General A minimum of 55% should be secured by the candidate in the Master’s degree or any other degree equivalent to that from a college or university that is recognized by UGC (University Grant Commission). 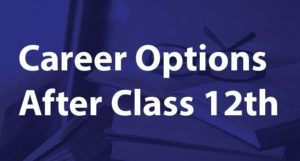 Reserved Categories Candidates belonging to reserved categories like OBC (Other Backward Classes, Scheduled Caste (SC), and Scheduled Tribe (ST), PWD need minimum aggregate percentage of 55% in their Master’s degree or any other degree equivalent to that from a college or university that is recognized by UGC. Candidates who are appearing for the final exams of their Master’s degree this year and their results are awaited, they are also eligible to apply for this examination test, but they will be provided a provisional admission only. They will have to submit their result or marks card at the time of admission. Note : All the aspirants are advised to appear for the exam in only the subject in which they have completed their post-graduation. If their subject is not listed in the list, then they may appear for a related subject. Notification has not set any particular upper age limit for the candidates appearing for the post of Assistant Professor through AP State Eligibility Test 2018. APSET Application form will be available on the official website of APSET from March 26, 2018. All the interested candidates should go to the official website of APSET to apply online. Fill in all the necessary details like personal and educational details, etc. Application fee for different categories have been mentioned above and should be paid online using debit/ credit card / net banking. Both the papers will consist of objective type questions and the exam will be conducted offline. Note : All the aspirants should appear for the test according to the date, time and venue mentioned on the admit card. Andhra University has already announced the exam centers for the AP State Eligibility Test 2018. The centers with their code are mentioned below, so choose a center which is nearest to your place. All the interested aspirants of APSET 2018 can refer to the official notification released by APSET. We wish you all the luck to get recruited for the posts of Assistant Professor and Lecturers in the colleges and universities of Andhra Pradesh.